Soccer is one of the most popular games in the world, which is played in almost every nation. It is the second most-watched sports in the world, after Olympic Games. The super talented players, passionate nations, crazy fans and the winning goal make soccer a game of unmatched sport in the world. Brazil happens to be the only nation in the world, which has played in every World Cup, since its inception in 1930. Brazil also holds the record to lift the World Cup, an amazing five times, the most by any country in the world. FIFA – the Federation Internationale de Football Association, the sport’s governing body holds the global tournament every four years. The first FIFA World Cup was played in 1930 in Uruguay, who was the two-time World Champions in the Olympic Games. 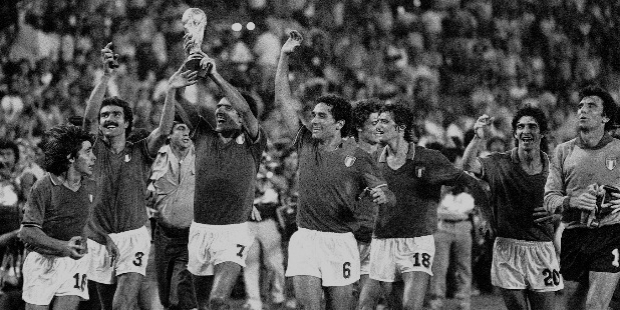 Germany and Italy, with four titles, trail Brazil in the 20 World Cup tournaments. Argentina and Uruguay have won the titles twice, while France, England and Spain have lifted the World Cup once each. So far, only 8 teams have lifted the coveted World Cup titles in the 20 FIFA World Cup tournaments. In the history of the World Cup, Brazil is the most successful national team in the world. 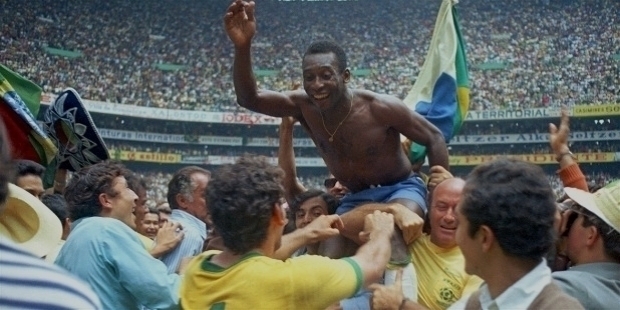 Brazil lifted the prestigious World Cup first in 1958. Four years later, they defended their World Champions’ title once again 1962. The Latin American country is known for its ultimate passion in football. 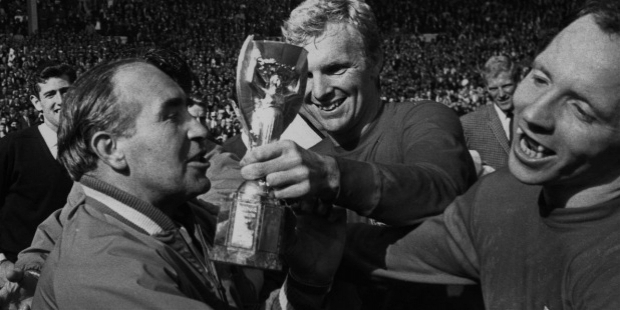 Brazil lifted the World Cup 8 years later in 1970. They were denied the title for 24 long years by twice by Germany in 1974 and 1990; by Argentina twice in 1978 and 1986; and once by Italy in 1982. Brazil regained their World Champions’ status once again 1994 and won the title for the fifth time in 2002. The Brazilian team was twice runners-up, apart from holding the third and fourth place twice each. Brazil’s track record in the World Cup is second to none. Its overall performance in the World Cup history has seen the team recording 70 victories in 104 matches played, with only 17 losses. Brazil became World Champions under Captain Hilderaldo Bellini in 1958, Mauro Ramos in 1962, Carlos Alberto in 1970, Dunga in 1994 and Cafu in 2002. Over the years, 5 Brazilian players have won the ‘World Cup Golden Boot Awards’. In 1938, it was Leonidas, who scored 7 goals, followed by Ademir’s 9 goals in 1950, Garrincha and Vavá in 1962 with 4 goals each and Ronaldo in 2002 scored 8 goals. Ronaldo holds the top spot in scoring 15 goals in World Cup tournaments. He scored 4 in 1998, 8 in 2002 and 3 in 2006. Legendary Pele holds the No. 2 spot with 12 goals. He scored 6, 1, 1, 4 goals in 1958, 1962, 1966 and 1970 World Cup tournaments respectively. He is the only player to win three FIFA World Cups – 1958, 1962 and 1970. He is the ‘Youngest’ tournament winner – 1958, at 17 years and 249 days. He is the ‘Youngest’ goalscorer – 1958 vs. Wales, at 17 years and 239 days. He is the ‘Youngest’ hat-trick scorer – 1958 vs. France, at 17 years and 244 days. He is the ‘Youngest’ goalscorer in a final – 1958 vs. Sweden, at 17 years and 249 days. Brazil has been adjudged in four World Cups as the team, who plays fairly in their matches against tough opponents. They lifted the ‘FIFA Fair Play Trophy’ in 1982, 1986, 1994 and 2006. 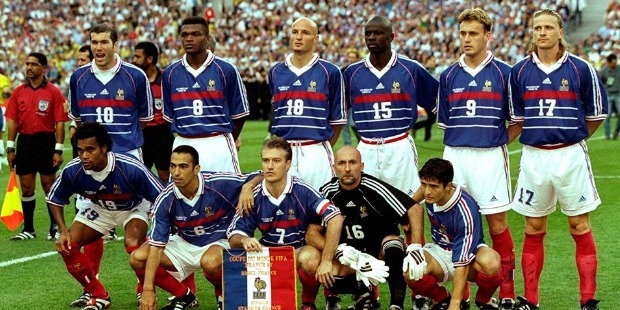 Their superlative talented side was adjudged the ‘Most Entertaining Team’ in 1994. Brazil's Mario Zagallo is one of the only two people to date to win the World Cup as both player and Head Coach. As a player, Zagallo won the World Cup in 1958 and 1962. In 1970, as Brazil’s Head Coach, Mario Zagallo’s team lifted the World Cup. Having lifted the World Cup titles four times in 1954, 1974, 1990 and 2014, Germany is considered the second best side in the world. The current World Champions Germany is the only team, which has stood on the victory podium in every decade they entered the tournament – 1930s, 1950s, 1960s, 1970s, 1980s, 1990s, 2000s and 2010s. The four successful Captains of German Soccer Team, who lifted the World Cups in 1954, 1974, 1990 and 2014, are Fritz Walter, Franz Beckenbauer, Lothar Matthaus and Philipp Lahm respectively. Lothar Matthaus is the FIFA World Cup's all-time record player. Along with Mexican Antonio Carbajal, Lothar Matthaus are the only players, who have appeared in 5 different FIFA World Cups. Germany’s worst defeat in World Cups till date is against Hungary. In the 1954 FIFA World Cup, Germany lost miserably against Hungary. The 3-8 loss is Germany’s highest World Cup defeat till this present day. However, the German team lifted the World Cup in the 1954 finals. Miroslav Klose, with 17 FIFA World Cups’ match wins holds the record for most victories. He is second to Lothar Matthaus with 24 appearances in the 2002, 2006, 2010 and 2014 World Cups. Matthaus holds the top spot with 25 appearances in five World Cups’ editions – 1982, 1986, 1990, 1994 and 1998. Miroslav Klose has scored an all-time 16 goals at FIFA World Cup final tournaments to hold the top spot. He scored 5 goals each in 2002 and 2006, 4 goals in 2010 and 2 goals in 2014 World Cups. West Germany's Franz Beckenbauer shares the distinction of lifting the World Cup with Brazil’s Mario Zagallo, as both player and Head Coach. In 1974, Beckenbauer led West Germany to win the World Cup. In 1990, as the Head Coach, Beckenbauer’s team lifted the World Cup. Italy holds the second spot along with Germany with 4 World Cups’ win in 1934, 1938, 1982 and 2006 editions. The Italian team was present in 18 out of the 20 World Cup tournaments. The talented team reached 6 finals, earned a third place and a fourth place, having won 4 Championships’ titles. Gianpiero Combi in 1934, Giuseppe Meazza in 1938, Dino Zoff in 1982 and Fabio Cannavaro in 2006 led their team towards World Cup title holders. Italian Paolo Maldini has appeared in 23 World Cup matches. He holds the third spot after Lothar Matthaus and Miroslav Klose with 25 and 24 appearances respectively. Paolo Maldini is the only player with the most World Cup matches, who has never won the World Cup. The Italian goalkeeper Gianluigi Buffon is one of only three players, who have been part of 5 FIFA World Cup squads. In 1982, Paolo Rossi scored 6 goals and was awarded the ‘Golden Boot’. In 1990, Salvatore Schillaci earned the ‘Golden Boot’ with his 6 goals. Italian Dino Zoff is the oldest ‘Golden Glove’ winner, who won the award at the 1982 World Cup. 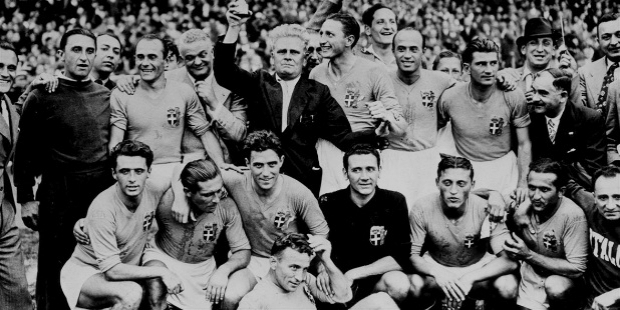 Italian Vittorio Pozzo holds the record to be the only Head Coach to ever win two back-to-back World Cups in 1934 and 1938. Argentina has won the World Cup in 1978 and 1986. 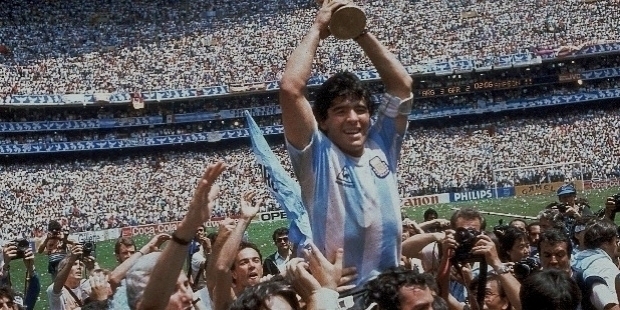 Argentina was runners-up in the 1930, 1990 and 2014 editions. The soccer magician Diego Maradona has led the national team in 16 matches and holds the record in FIFA World Cup history. Maradona has played in a total of 21 matches in the 1982, 1986, 1990 and 1994 World Cups. Argentina did not enter the 1938, 1950 and 1954 World Cups. Surprise of surprises, Argentina failed to qualify for the 1970 World Cup. Gabriel Batistuta is holds the top spot in the nation with total 10 goals, 4 in 1994, 5 in 1998 and one in 2002 World Cups. Uruguay won 1st-ever World Cup in 1930 as the host nation. 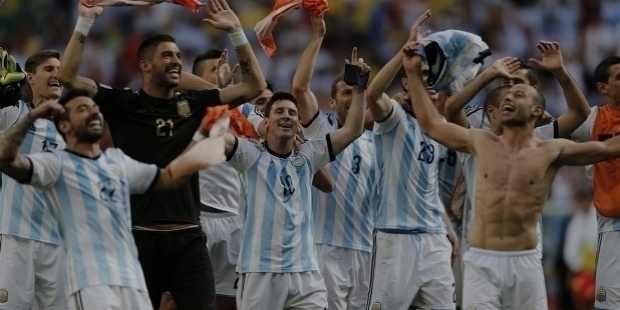 Uruguay defeated Argentina 4–2 in the final. 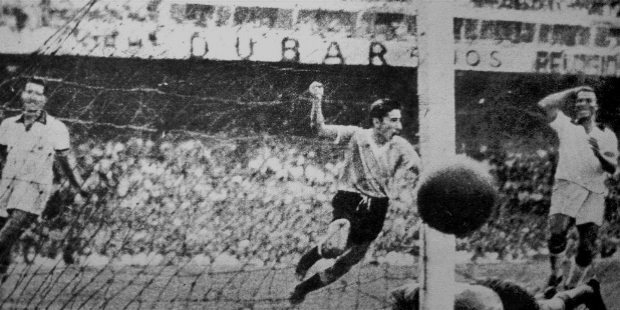 After two decades of long wait, Uruguay won their second title in 1950. They trounced Brazil 2–1 in the final match. Uruguay has qualified for 12 World Cups. Uruguay is the only country to have won the Gold Medals in football at the Summer Olympics twice. Before the creation of FIFA World Cup, Uruguay won the Olympics’ titles in 1924 and 1928. In 1934, Uruguay refused to participate to defend their title, because many European countries had declined to take part in the 1930 World Cup in Uruguay. Again in 1938, Uruguay refused to enter the World Cup, because of FIFA's decision to hold the tournament in France. Oscar Míguez is the top scorer of Uruguay. He scored 5 goals in 1950 and 3 goals in 1954 World Cups. England entered the competition in 1950 and since then has entered in all the 17 subsequent editions. England failed to qualify for the World Cup in 1974, 1978 and 1994. 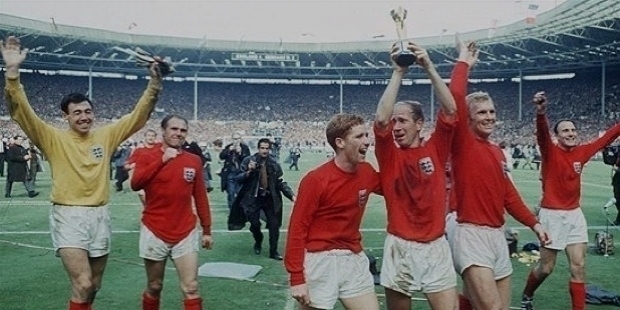 Winning the 1966 World Cup, England has not fared well at the World Cups so far. England holds the record for most goalless draws than any other team. 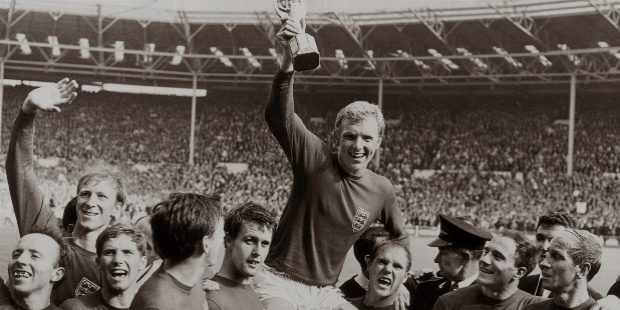 In the 1966 World Cup, Geoff Hurts became the only player to score a hat-trick in a World Cup final. Hurts scored thrice against Germany to lift the coveted trophy. Gary Linekar is the top scorer for England with 10 goals. Linekar scored 6 goals in 1986 and 4 goals in 1990 World Cups. He was awarded the ‘Golden Boot’ in 1986. Peter Shilton holds the ‘Oldest Captain’ record at the age of 40 years and 292 days, in the 1990 World Cup. Shilton also shares with Fabien Barthez the ‘Most Clean Sheets’ of 10, from 1982 to 1990. France has appeared in 14 FIFA World Cups so far. 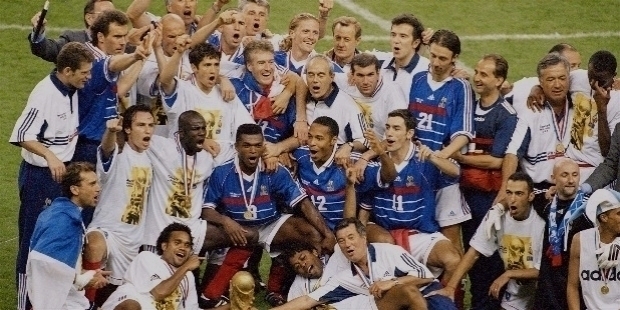 The French team lifted the World Cup in 1998 as the host nation. France trounced Brazil 3-0 in the final. 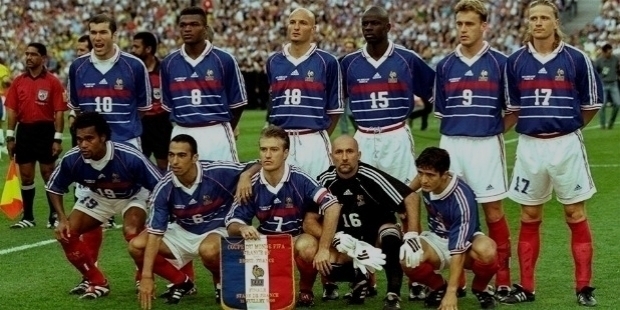 French goalkeeper Fabien Barthez shares the FIFA World Cup record for most matches without conceding a goal with Peter Shilton. Scoring 13 goals, Just Fontaine holds the record for most goals scored in a single FIFA World Cup. Fontain scored 13 World Cup goals in 1958. In 1974, West Germany's Gerd Müller broke his record in the World Cup final. Spain is the 8th nation to have won the FIFA World Cup. The Spanish team reached the final for the first time at the 2010 FIFA World Cup. Spain defeated the Netherlands 1-0. 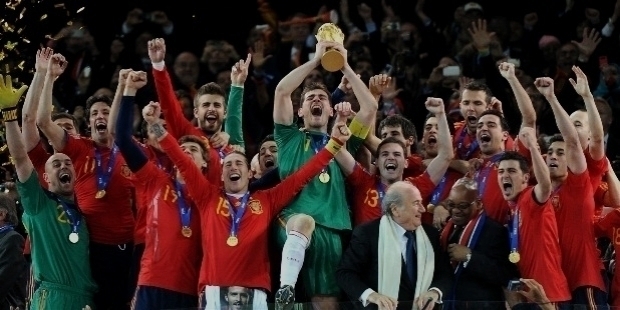 Iker Casillas led the Spainish team to their only World Cup title in 2010. Casillas also won the ‘Golden Glove’ award for best keeper in 2010. He appeared in the national team for the 2002, 2006, 2010 and 2014 World Cups.